This little green panel with chips and other gizmos is a full-fledged computer that costs less than $30. The Zero W version comes with both Wi-Fi and Bluetooth technology. It features two micro USB slots (one for power, another for data), a Mini HDMI port, a microSD slot, the memory and CPU chip, and two rows of pins on the top that can be used to expand this mini-computer with all kinds of things. Getting things set up is fairly simple, and a stripped-down version of Windows can be used. However, it’s not the best CPU out there and it can hardly run YouTube videos at 144p. However, the most surprising thing about this is that it comes pre-installed with Minecraft! Sure, Minecraft isn’t the most advanced game in terms of graphics, but it can run the game at beyond 30 fps at 1080p. 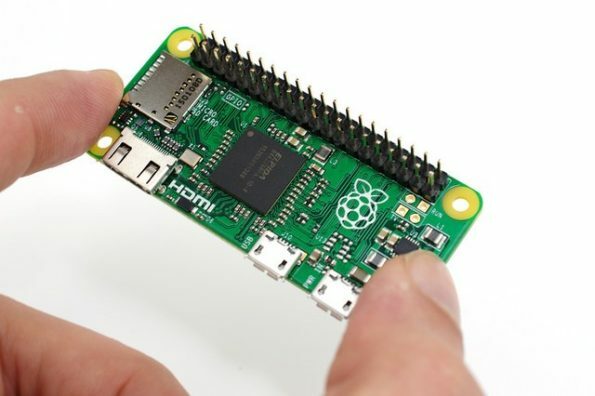 If you’re looking for a dedicated device to build your own virtual world while hiding from creepers and witches, then the Raspberry Pi Zero W is definitely worth considering.